Fitbit Alta HR vs Inspire HR - Where are the differences? 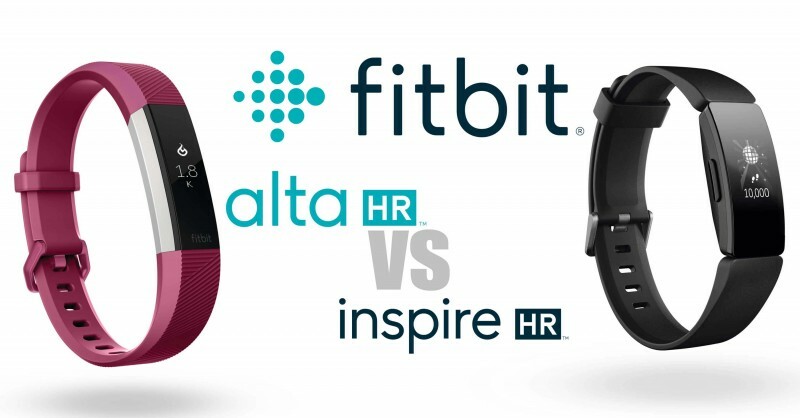 Magazin » Test & Vergleich » Fitbit Alta HR vs Inspire HR - Where are the differences? The Fitbit Inspire was released in 2019 and is the successor to the Fitbit Alta. In this context, a few questions, which are answered here. Where are the differences between Fitbit Alta and Inspire? New purchase: Fitbit Alta HR or Inspire HR? Is a upgrade from the Fitbit Alta to the Inspire worth it? Should you upgrate to Fitbit Inspire HR? This comparison deals with the models Alta HR* and Inspire HR* . So in both cases to the variant with pulse sensor. For the scope of functions as well as the properties this is an elementary point. Both models offer Fitbit with and without HR. I advise you to choose the HR version in both cases. One of the fundamental differences lies in the pulse measurement. 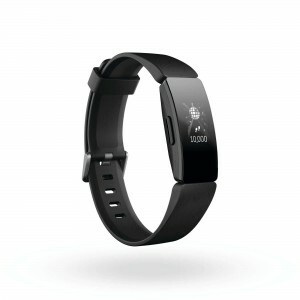 The HR states that the fitness trackers are equipped with an HR sensor. However, this creates further differences that speak for the models with HR. Visually, it can be noted that the Fitbit Inspire is a successor to the Fitbit Alta. However, the newer Fitbit Inspire offers a bit more functionality. We continue to speak of the Fitbit Alta HR and the Inspire HR, which is crucial for the comparison. In comparison between Fitbit Alta HR and Inspire, only the Inspire HR trumps with a GPS function. However, there is no built-in GPS, but only the ability to use connected GPS. For the connection to the smartphone is used and the GPS used by this. There is no way to use GPS on Fitbit Alta or Alta HR. Even the Inspire without pulse measurement can not GPS. A point for the Fitbit Inspire HR. The same applies to use in the water. Unlike the Alta, the Inspire family is waterproof. The Inspire can withstand up to 50 meters. This applies to the Inspire with, as well as the Inspire without HR. Both versions of the Fitbit Alta offer less and can not be used in water. Another plus for the Fitbit Inspire. Both Fitbit Alta and both Fitbit Inspire can record sleep. The difference, however, lies in the evaluation. Only models with HR offer detailed sleep analysis. One reason in both cases to resort to the variant with pulse measurement. Compared between Alta HR and Inspire HR, both models offer the same. None of the devices has an altimeter installed. So nobody can count the floors. So it does not matter if you decide for the Alta HR or Inspire HR. Pulse measurement is offered by Alta HR and Inspire HR. However, it is important that you pay attention to the addition HR when purchasing. Both variants without HR are slightly cheaper, but offer significantly less functionality. Both models allow you to change the bands. The Alta bands are not compatible with the Inspire bands. Those of the Alta, however, fit on the Alta HR. The Inspire's wristbands also fit on the Inspire HR. Mobile payment is not possible with any of the trackers. Fitbit Pay is only available for Charge 3 and Versa. However, there only in the special versions. If this feature is important to you, Alta HR and Inspire HR will disappoint you. For a new purchase, I recommend to buy the Fitbit Inspire HR. Here you get a larger range of functions. The new functions will no longer be delivered on the Alta HR. In terms of price you will certainly find cheap offers for the Alta HR. At Fitbit itself there is the Alta and Alta HR currently no longer on offer. If you already own an Alta or Alta HR, you're probably asking if upgrading to the new Fitbit Inspire HR is worth it. If you have an Alta without HR you should definitely think about a change. Even with an Alta HR worth the upgrade. The Inspire HR offers a few more features, gets updates and comes in a new look. Overall, the Inspire looks rounder and more modern. In any case, you should grab the Fitbit Inspire HR* . 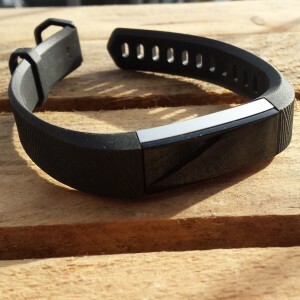 Tags: FitbitVergleich, FitbitCharge, Fitbit, FitbitCharge2, Fitnesstracker, Produkttest, FitnesstrackerVergleich, FitbitAlta, FitbitInspire The article is written by Lucas B and published on 10.03.2019 . Fitbit Versa Lite vs Inspire HR - which is better? Fitbit Inspire vs. Inspire HR - Where's the difference?